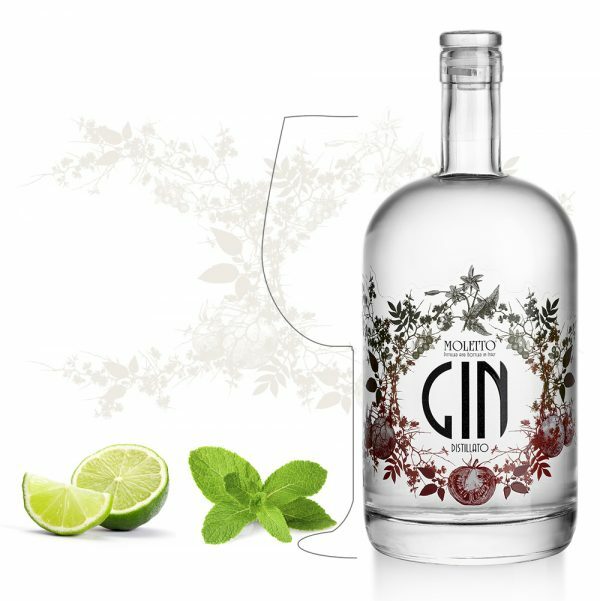 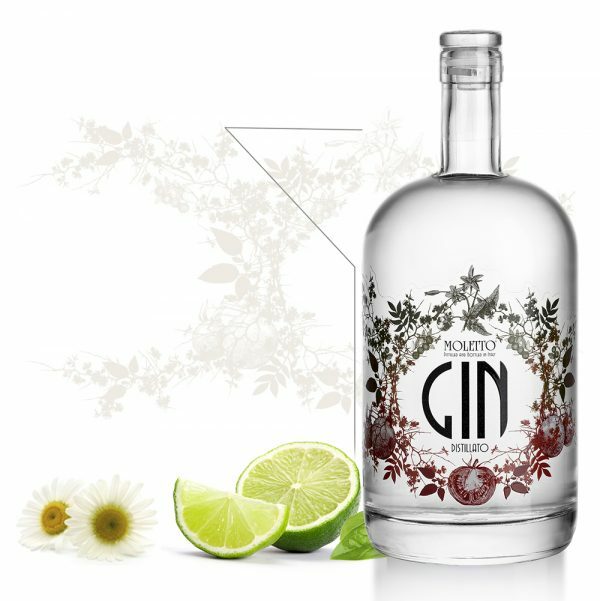 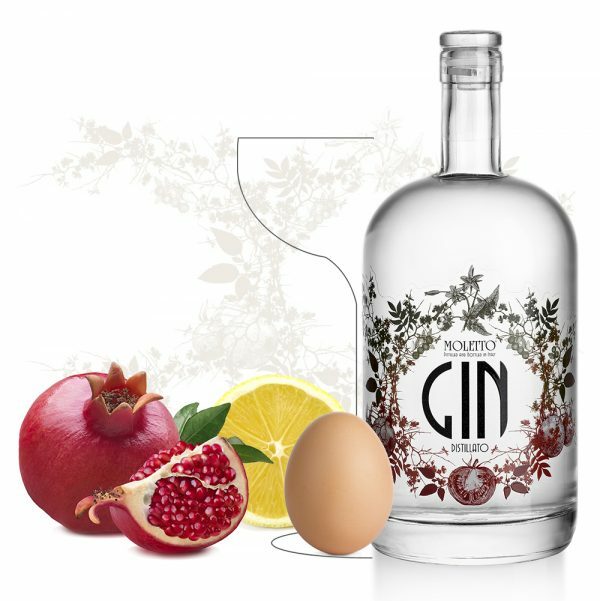 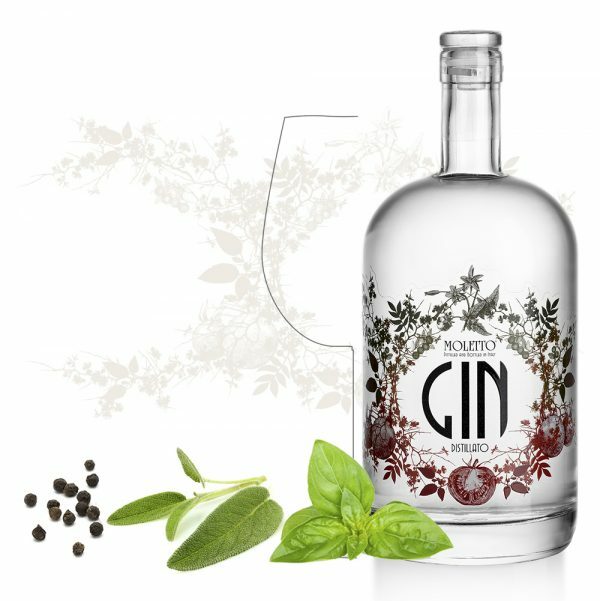 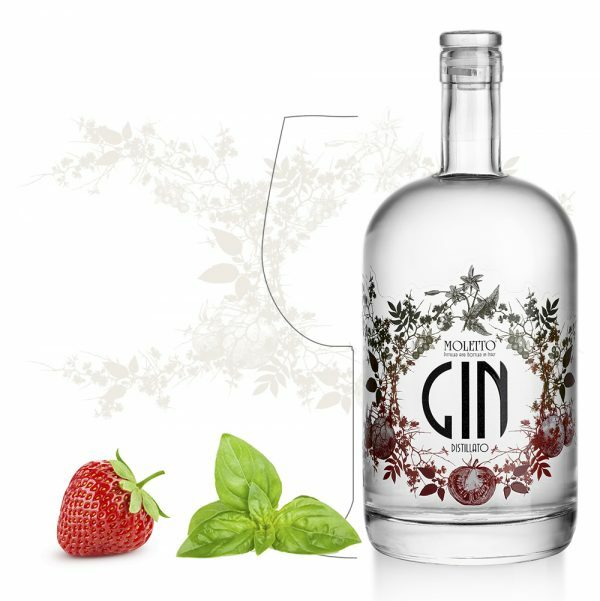 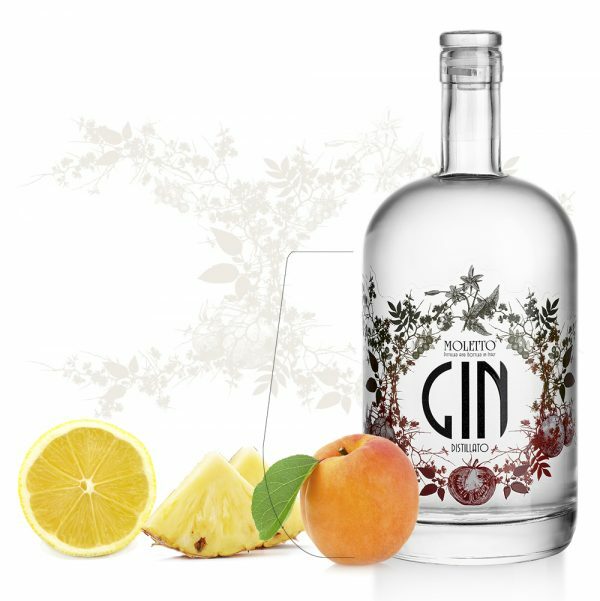 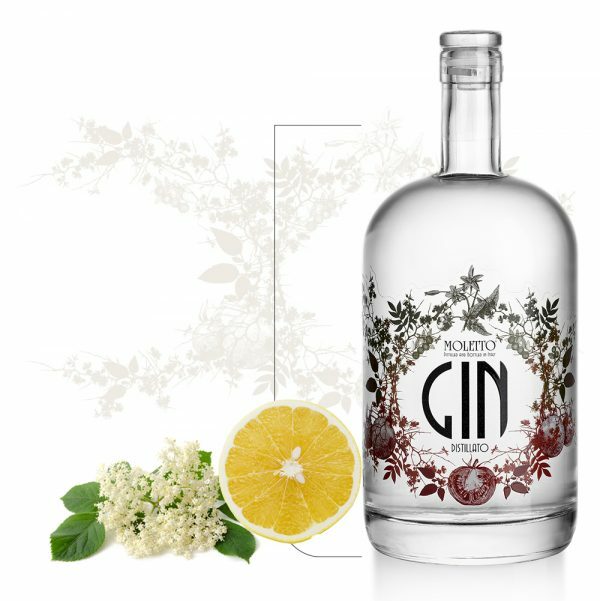 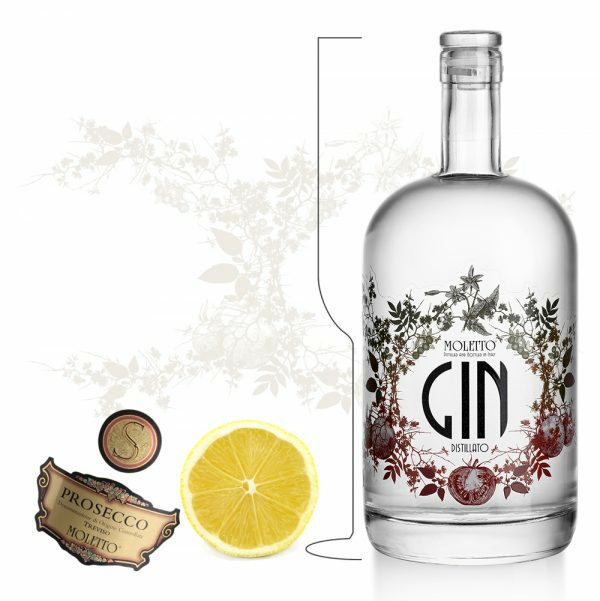 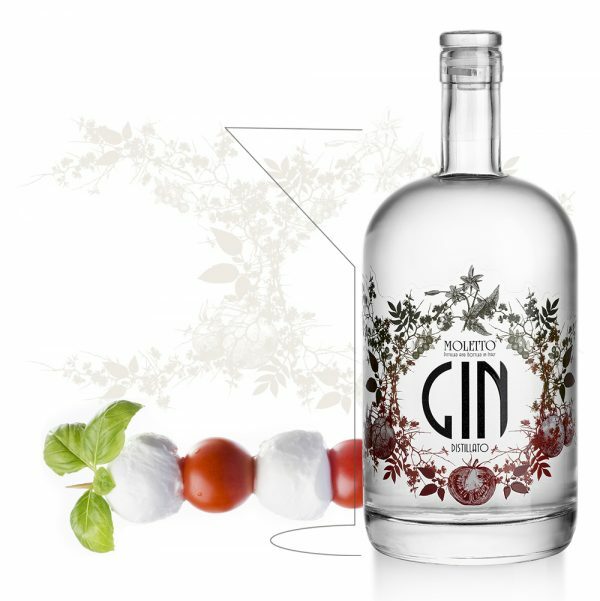 From the Veneto, the Italian region historically most involved in traditional distillation, comes an original gin that combines carefully chosen botanical varieties of juniper berries from the Alps and Mediterranean maquis, with the originality of the tomato. 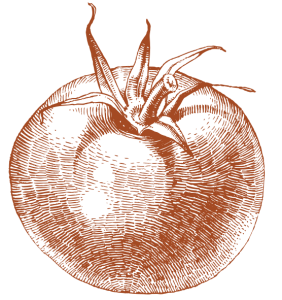 Think of tomatoes and you think of the Mediterranean, in particular Italy, where cultivation of the most famous red fleshy fruit in the world began. 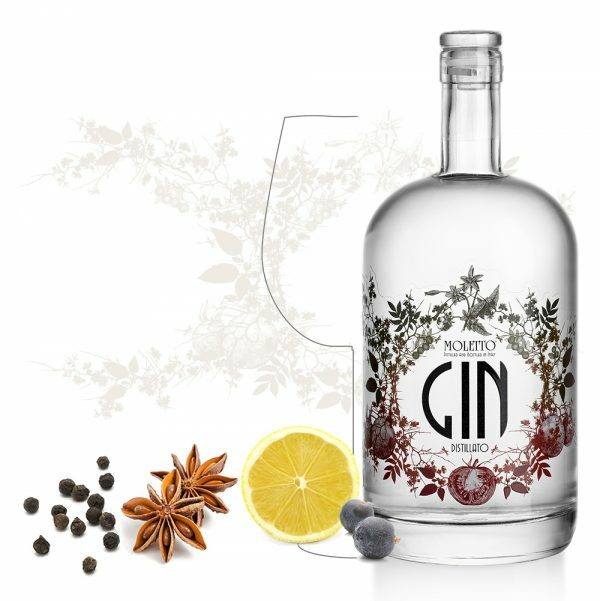 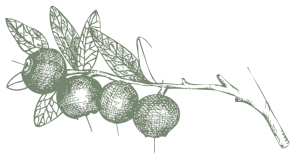 Juniper berries (Juniperi fructus), more specifically galbuli, release a characteristic spicy scent and a sweet, aromatic-spicy taste. 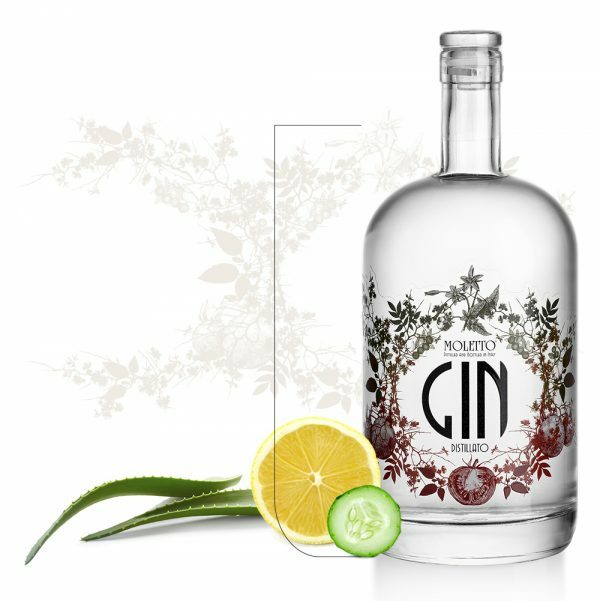 They give the gin its main flavour. 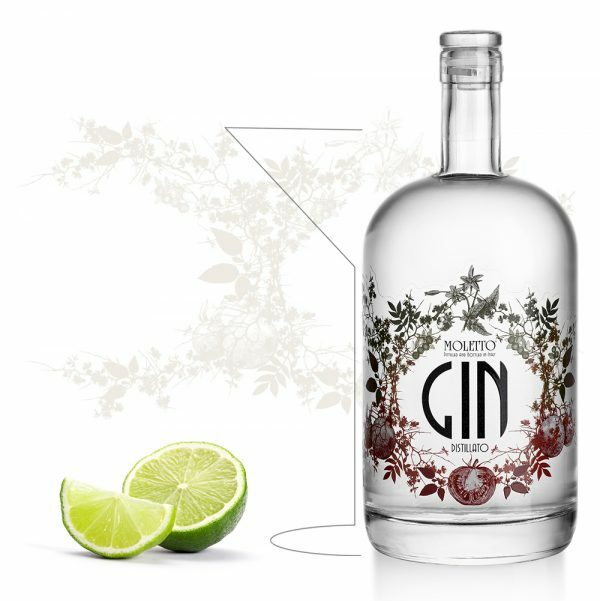 The traditional and artisanal distillation takes place in old copper stills. 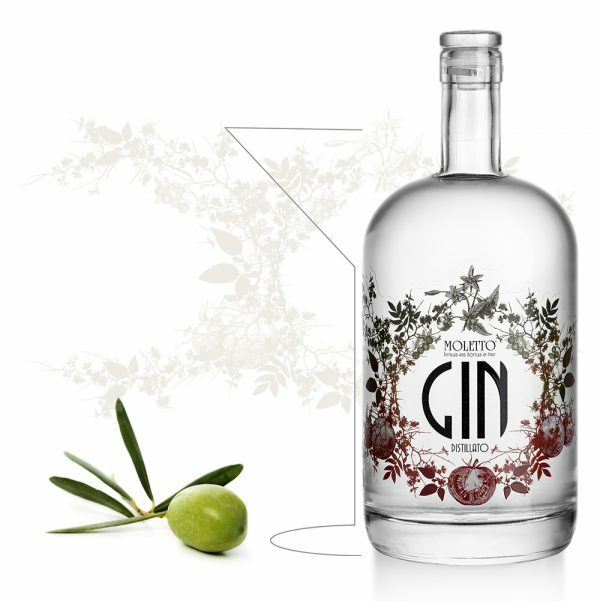 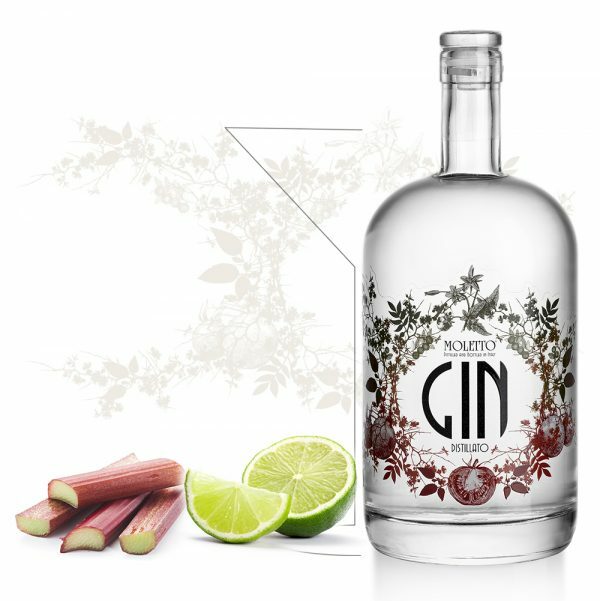 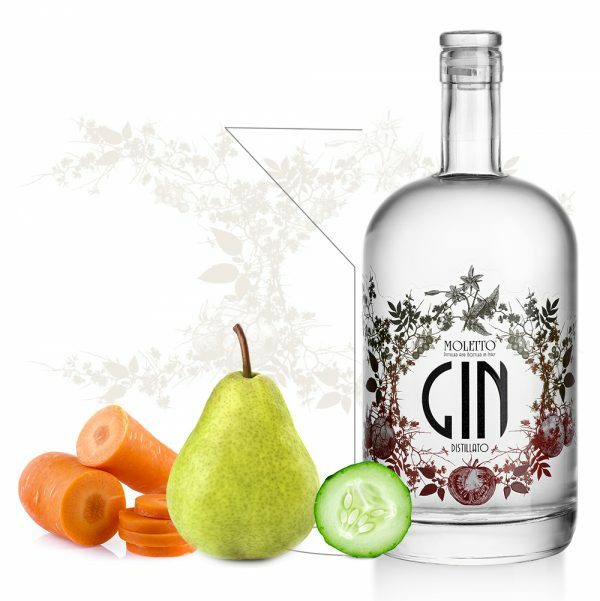 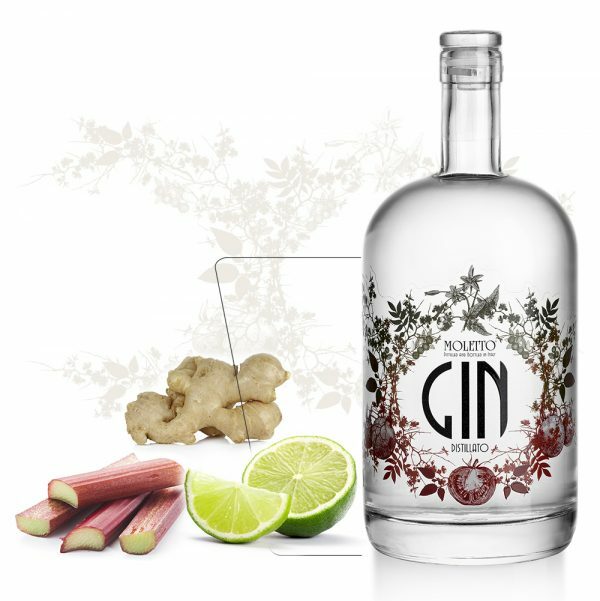 Moletto Gin is produced using the alcohol from selected mixed grains, and two spirits made from botanical varieties of juniper berries: from Mediterranean maquis – known as the best – and from the Alps. 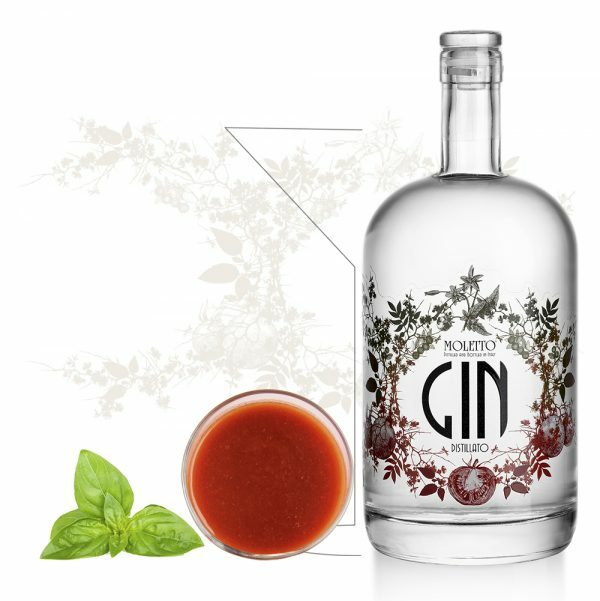 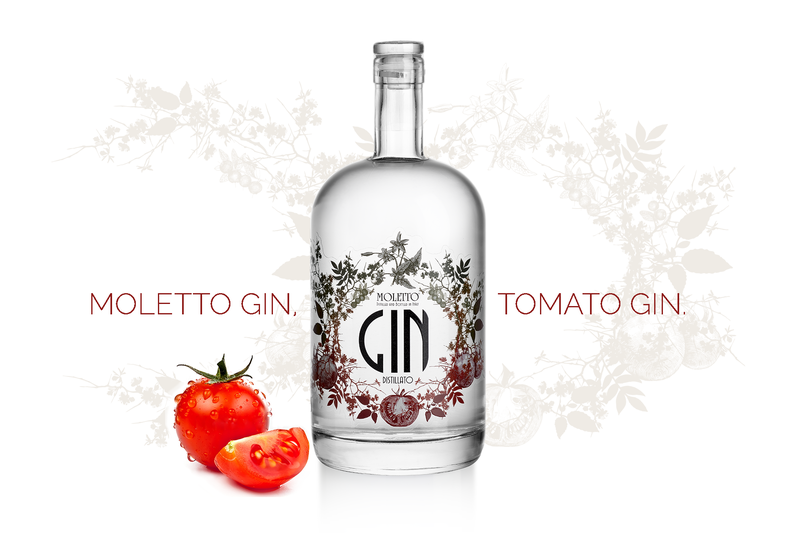 But the gin’s originality comes from a botanical feature that distinguishes and characterizes it: the tomato. 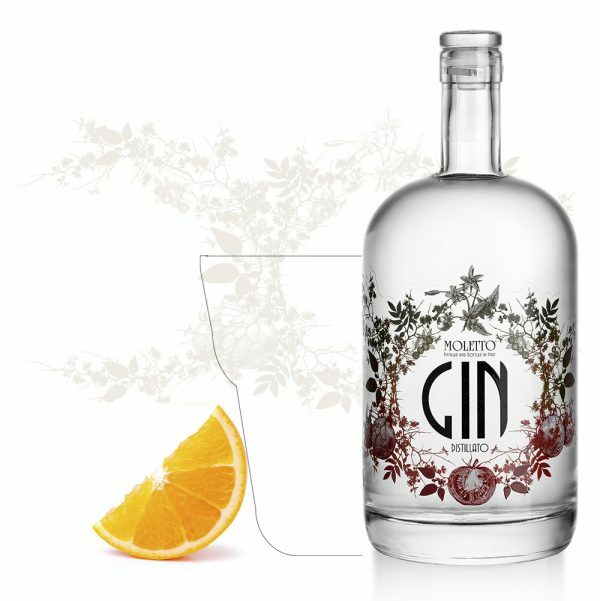 Its ingredients also include an exceptionally pure natural element, spring water from the Dolomites, light and well-balanced, which is used to reduce the alcoholic strength.